We’re looking back on the first season of Stargate Universe in a brand new installment of the GateWorld Podcast! Adam Barnard welcomes GateWorld contributor Sara Kehoe to talk about the first half of Season One. 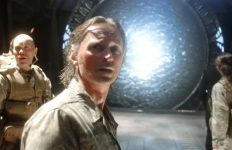 Sara is a long-time Stargate fan who never got around to watching SGU … until now. 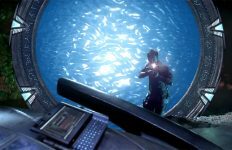 Over the past several months she has been writing a regular column here at GateWorld, giving us her perspective on someone coming on board the Destiny for the very first time. 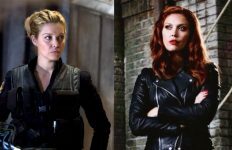 Adam and Sara chat about getting into Stargate for the first time, wading into fandom, and how a long-time fan of the franchise feels about the darker take of SGU. 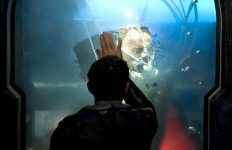 They talk about what makes the third Stargate series different, and then step through some major highlights and favorite moments from the first 10 episodes. Record a brief voicemail message (up to 1 minute). Be sure to include your first name and where you are from. E-mail your audio file to [email protected]. Want to write for GateWorld, too? Join Sara and our team of Stargate fans! 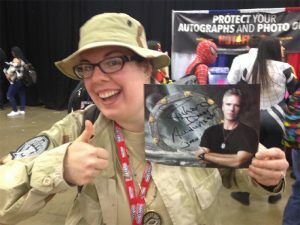 We’re looking for experienced writers who want to celebrate Stargate by writing about the characters, the alien tech, your fandom adventures, cosplay, or anything else that animates you. Just contact the editor.